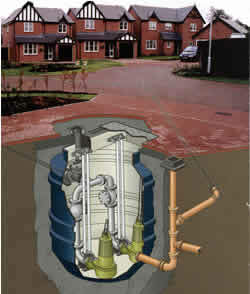 Mathews is an electrical, air conditioning and pump engineering business situated in Exeter, Devon (UK). An independent distributor and installer of pumps, borehole pumps, motors, fans, pressure vessels, starters, filters, water treatments, inverters, and air conditioning equipment. We have 90 years of experience in selecting the best engineering solution for your applications. We sell a range of leading brands in electro-rotating machinery some of which can be viewed on-line, for specific applications or for enquiries into our greater product range please contact us directly by email , telephone or fax. W.J. Mathews (Exeter) Ltd was established as a company in 1918 by the Mathews family and dealt mainly with the repair of DC electric motors from electric trams, cranes, dragline excavators etc. In 1937 the company was incorporated and became a limited company. After the death of its founder William John Mathews in 1944 the company was run by his widow Mrs Ada Mathews. Ada Mathews decided to put the company up for sale in 1948 and it was sold to William Henry Hallam. He was previously a director of the Midland Dynamo Company of Leicester and had considerable experience in the sale and repair of all types of electrical plant.In 1966 William Hallam's son Martyn Hallam joined the company and on the death of his father in 1985 took over as Managing Director. Martyn's son Andrew joined the company in July 1994 bringing the third generation of the Hallam Family in to the company. 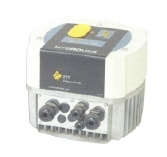 In our workshop we repair all commercial and industrial electrcal equipment. 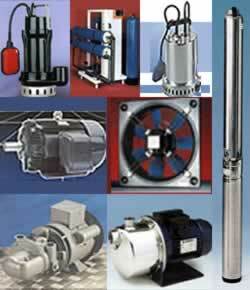 We rewind and repair motors and generators, rebuild and repair pumps, motors, power tools and drive shaft surface. For the installation, maintenance and replacement of all types of electrical plant and equipment, water treatment and the upgrading of electrical systems and controls please contact us for an estimate or a quotaion.